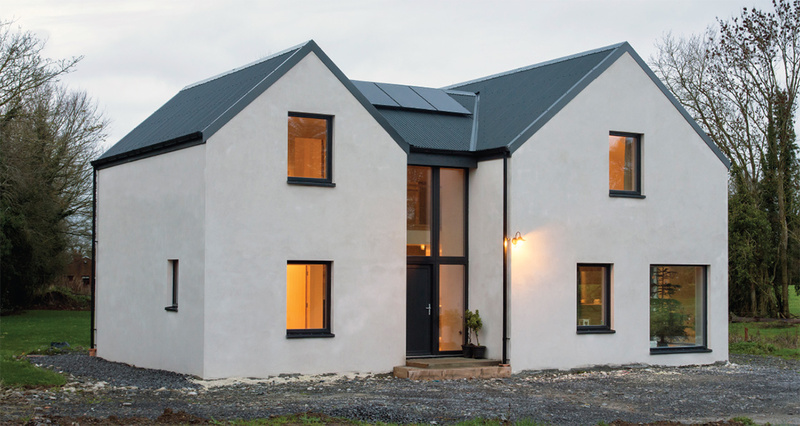 A modest farmhouse in the Ireland is demonstrating how it is possible to build a passive house on a strict budget. What is Passive House? It’s a concept that started in Germany around a home being net-zero in energy consumption. 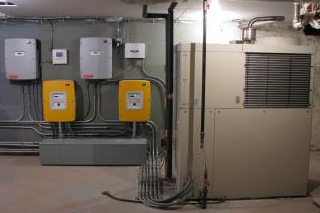 Systems such as solar, wind and geothermal allow a home to generate the energy that it uses. The other side of this building trend is around tighter insulated homes that reduce the need for heating and cooling systems. This can be done by the reduction of consumables with air tightness, but can also center around use of natural heating and cooling opportunities such as capturing the thermal energy of the sun to warm the home. This rural house is located northeast of Dublin and features an old Irish design aesthetic. The house was envisioned by owner Michael Mills who runs a design studio specializing in rain screen siding and roofing for homes. The couple deliberately set out to create a smaller more intimate house. 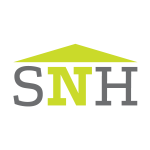 You can learn more about this project and see photos of the home at PassiveHouse+.